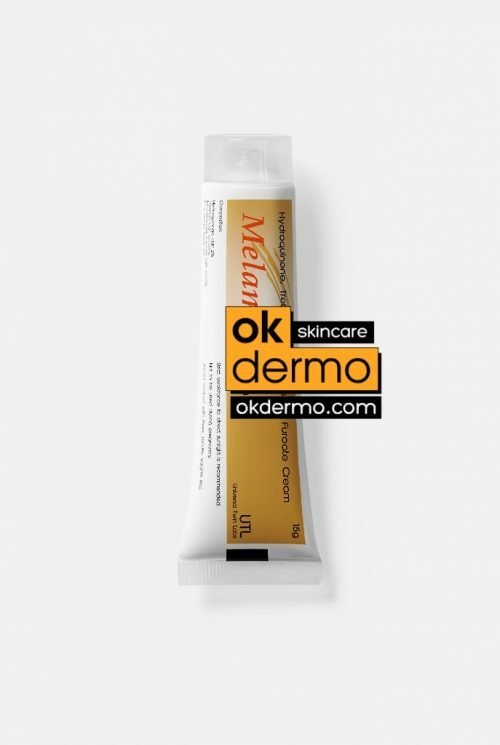 Hyde 5 Hydroquinone usp topical liquid solution by reputable brand Menarini consist of high-quality Hydroquinone monohydrate 5% which is used flawlessly in dermatology for flawless skin hyperpigmentation treatment, dark skin patches, melasma, and other skin discolorations. Hydroquinone 5% is an ingredient found in many skin-lightening products marketed to women for purposes of reducing age spots, melasma, freckles and other types of hyperpigmentation. Depending on the concentration of hydroquinone in your skin lightener, you may get sufficient results. 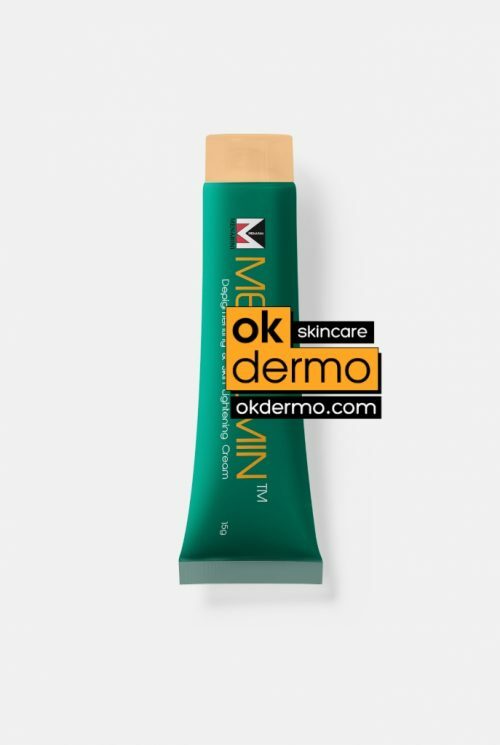 Hyde Hydroquinone 5 liquid topical solution USP by reputable brand Menarini consist of high-quality Hydroquinone monohydrate 5 which is used flawlessly in dermatology for skin hyperpigmentation treatment, dark skin patches, melasma, and other skin discolorations. Hydroquinone 5 is an ingredient found in many skin-lightening products marketed to women for purposes of reducing age spots, melasma, freckles and other types of hyperpigmentation. Depending on the concentration of hydroquinone in your skin lightener, you may get sufficient results; however, there are known side effects you should be aware of when using a hydroquinone-based lightening solution. 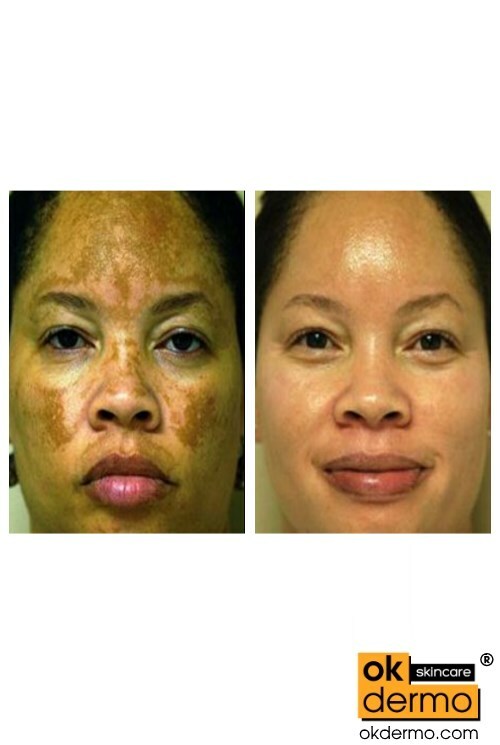 The term skin hyperpigmentation refers to the dark, discolored patches of skin that occur when melanin is overproduced. Reasons for this overproduction include sun exposure, skin damage, hormones and certain medications. The condition is typically harmless, though its appearance on prominent areas of the body – such as the face, can affect your self-esteem. Fortunately, there are several fade creams like Hyde 5 Hydroquinone Solution intended for melasma recovery. Consult a professional dermatologist to determine one that is suitable for you. Skin irritation: A common effect associated with hydroquinone 5 is skin irritation. It should not be used on skin that is dry, chapped, sunburned or already irritated, nor should it be applied to an open wound. Irritation can be reduced by avoiding the use of harsh cleansing agents, such as soaps and shampoos, hair dye, permanent waves, cream depilatories, waxes made for hair removal and products that contain alcohol, lime, spices or other astringents. Avoid using medicated products unless instructed by a dermatologist. Sun sensitivity: Hydroquinone 5% makes your skin more sensitive to the sun’s damaging ultraviolet rays. 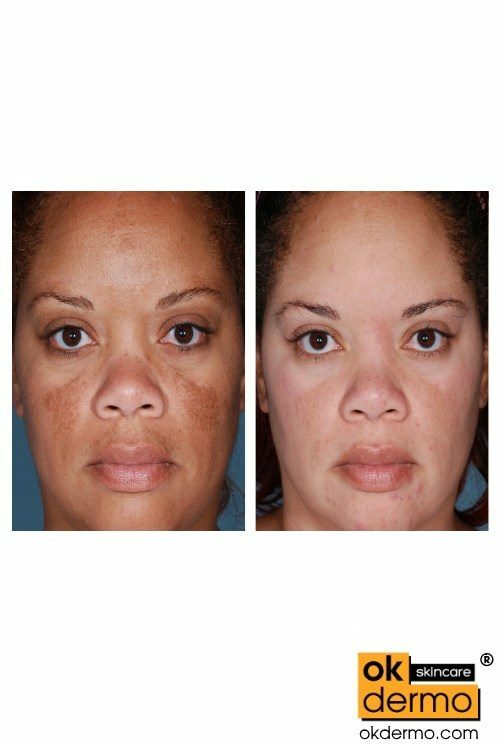 However, if you are trying to fade sun spots, freckles and other types of hyperpigmentation, sun protection is essential, as sun exposure in itself makes discoloration worse. Always smooth on a broad-spectrum sunscreen before you go outdoors so you will not undo the benefits of your skin-lightening products. Cautions: If purchasing a skin-lightening cream that contains hydroquinone 5%, make sure to read the product’s label first. If you use a topical cream that contains too much hydroquinone you might end up with discoloration that is almost impossible to treat. Only your dermatologist can tell you if it is safe to use hydroquinone 5% at a concentration of more than two percent. 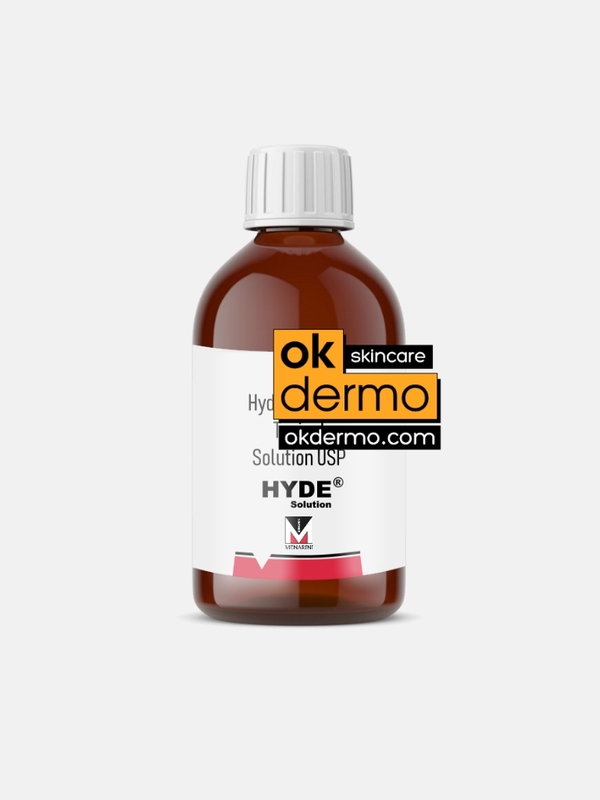 Hyde 5% Hydroquinone USP Topical Solution designed to lighten discolorations in the skin. It works by reducing the amount of melanin in the skin, making darkened areas lighter. 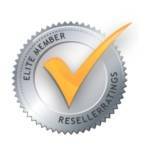 Consumers are buying hydroquinone 5% products for their convenience and results. Hyde Hydroquinone 5% USP Topical Solution contains hydroquinone 5% a chemical that is used as a skin lightener to reduce the color of the highly pigmented skin due to overproduction of the pigment melanin, in a variety of skin conditions. Hydroquinone 5% of Hyde Solution works by Inhibiting tyrosinase, an enzyme involved in the production of melanin, which is the pigment that gives color to the skin. 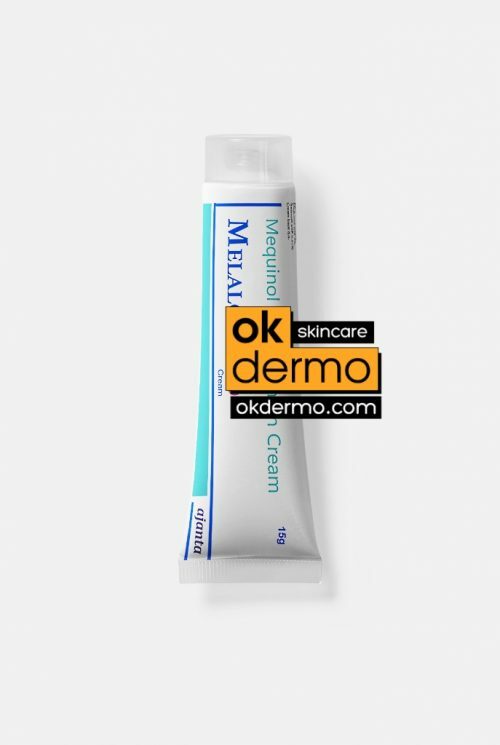 This slows down the production of melanin, so that as the amount of melanin decreases the darkened skin gradually fades to match the normal skin. 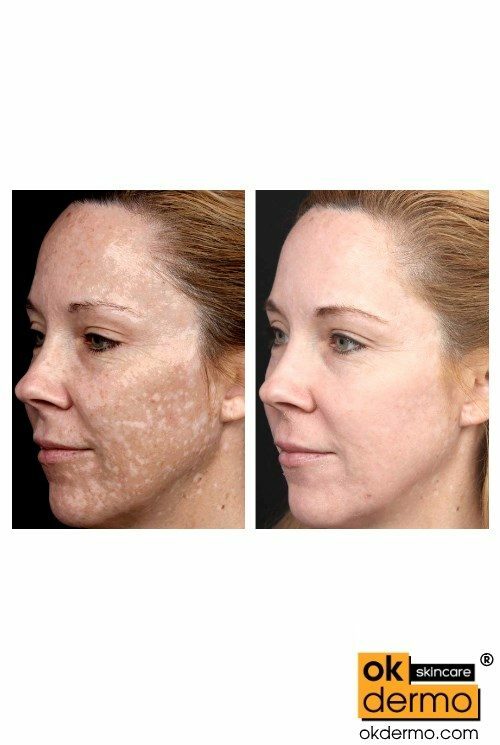 The skin conditions that Hyde Solution is effective in treating include, liver spots or age spots, also known as senile lentigines, that are common in aging skin, freckles, acne scars and other forms of unwanted skin discoloration. 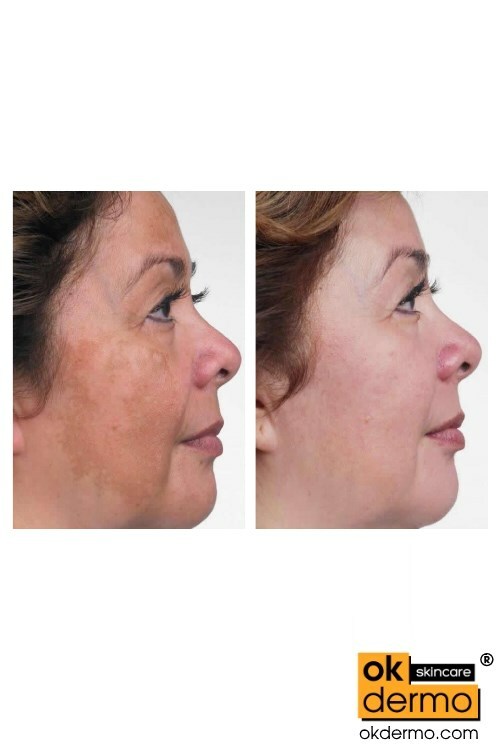 Hyde Solution is also used to treat melasma, which are patches of dark skin discoloration that appear in areas of the face and are caused by exposure to the sun, pregnancy and contraceptive hormones. Easy to apply: Hyde Hydroquinone 5 USP Topical Solution is painless and easy to apply during your regular morning routine. Manufacturers recommend that the cream is applied regularly, usually once a day, to the discolored areas of skin and rubbed in thoroughly. 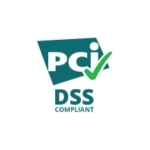 This ensures that the component is applied only to the areas that need treatment. 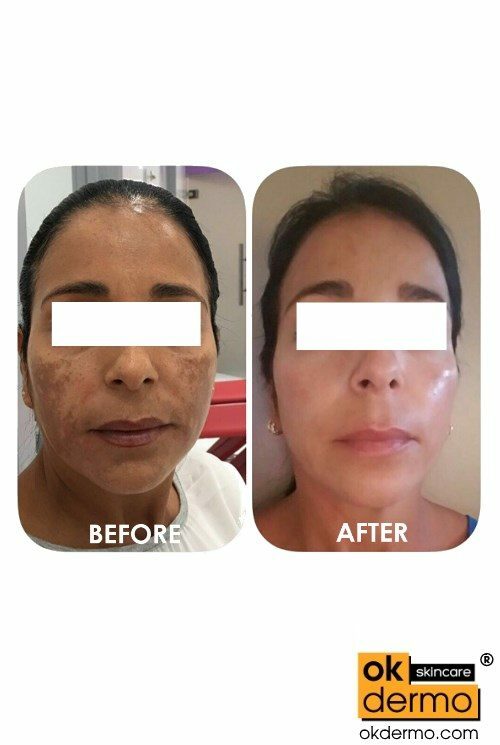 Quick results: Most users who use Hyde Hydroquinone 5% USP Topical Solution see a change in the discolored skin within three weeks when using the cream twice a day or once a day. 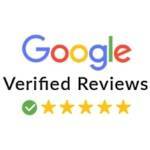 Although the cream may take longer to work in some users, its effectiveness can usually be determined within four months. Alternative methods of treating skin discoloration, such as dermabrasion, require scheduled treatments and a healing period of several days or weeks, which Hyde Hydroquinone 5% USP Solution does not require. 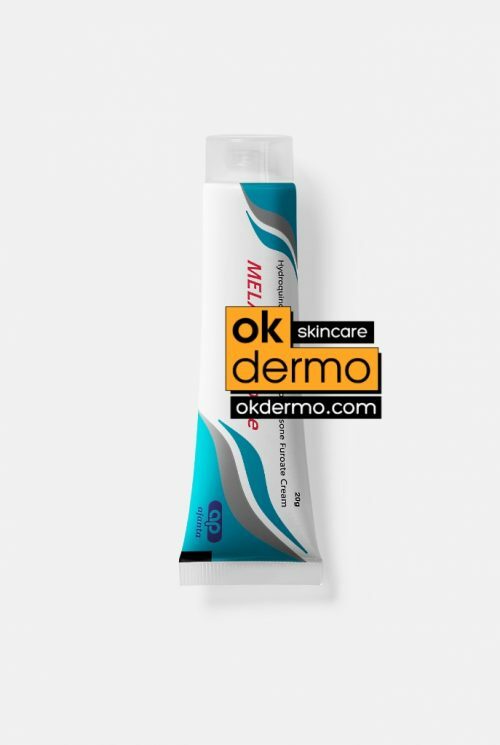 Hyde Hydroquinone 5% Solution belongs to components called as melanin synthesis inhibitors. It bleaches, whitens the skin by removing the accumulated skin pigment called melanin that causes darkening of skin areas. Some side effects may appear – allergic to any component of cream, irritation. Hydroquinone works, and can be used to treat not only dark spots but also freckles and scars. Helped me, was prescribed me by the doctor. I’ve heard liquid hydroquinone is more effective than a cream form because it penetrates better. Delivered but glass bottle was broken, been reshipped. Received in 3 weeks. I use hydroquinone lotion in conjunction with other skin brightening ingredients such as Vitamin C, Glycolic Acid and Retin-A for a multi-prong approach, my acne scars and dark spots gone, now using onlysun avoidance program and keep apply organic skin lighteners. Like the results I got! It works, simply works on me! Very happy that my doctor recommended it! Diluted with cocoa butter and apply every night, USE SUNSCREEN SPF 100 always with it! It burned my skin and i had to go a derm! Which one is better – cream or solution? This HQ lotion is highly effective, and works by blocking a melanin-producing enzyme called tyrosinase as my doctor said, my dark hypopigmentation faded, almost one tone to my skin, thanx for a great product. Use with caution. Arrived undamaged, that’s good, 5% is pretty high concentreation, i like it strength! The skin fading effects lasts as long as you use the product so exposure to the sun can trigger more pigment production and the return of the dark spot. All types of Hydroquinone work the same if you have constant use. 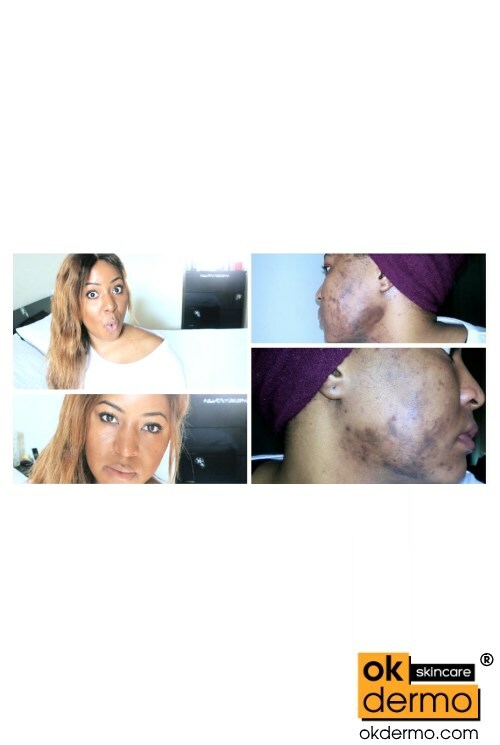 I personally like combining HQ treatments with other lightening creams (more natural ones like azelaic acid, glycolic acid, kojic acid etc) that not only stop the product of pigment but work to remove pigment and prevent any further pigmentation. Received mine today, thank you! It essentially bleaches the skin, my chloasma almost gone on 3rd week of treatment. Do you recommend liquid over cream form? Yes, love this lotion, I can mix it with anything, with my fav moisturizer for example. Lotion caused excessively dry skin, as well as redness and a burning sensation. Will continue to use a cream better. 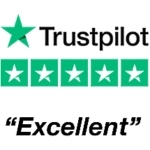 Anyone using a prescription strength product should be closely monitored by their doctor. Some dermatologists simply won’t prescribe it as they feel the risks outweigh the benefits, and feel that other potentially safer products can achieve similar results, like Rucinol, Kojic Acid, Azelaic Acid 20%, and other natural solutions.